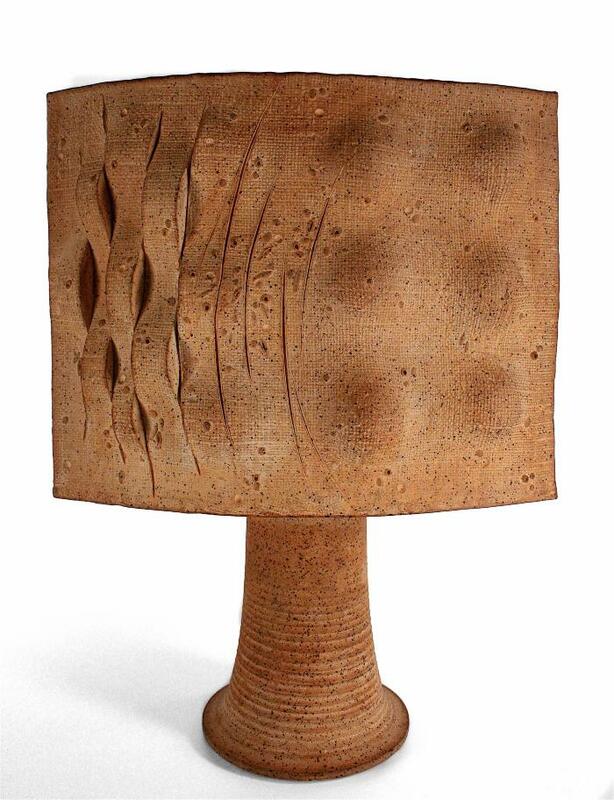 Tall stoneware slab vase with high, flared foot. The top of the rectangular slab body is entirely open. The ridged foot flares at the base.